It's so important to have good photos when wanting to show off or sell work online to people who may never get to see it in person. Photography has always been important to me, especially when I started putting art online back in 2003. Taking the picture is the first step - digitally editing and color correcting is the second. For photo editing on my desktop, I mostly use GIMP and Picasa free software. On my smartphone, I've been using the awesome Pixlr Express app to edit and enhance photos. It's really versatile & easy to use; there are also desktop versions, with the Pixlr Editor being a more powerful tool. Lately I've even been using Pixlr to add special effects to images that I use at work - it's fun and simple. What do you use for photo editing? At the Pixlr blog, you'll find great images, photo editing ideas, inspiration and contests. 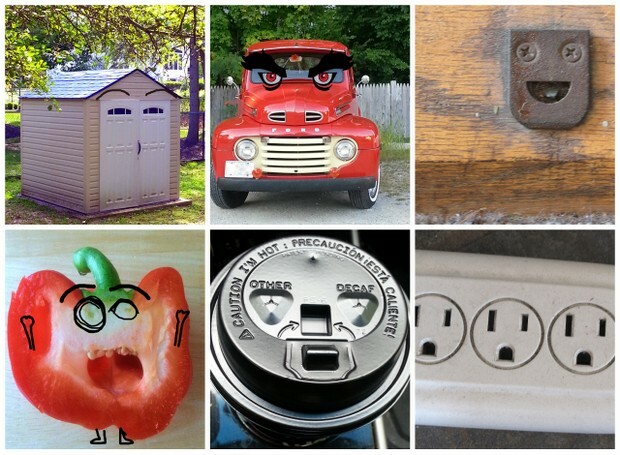 Last month I entered one of my "I see faces on inanimate objects" pictures in their #mysuperpower photo contest & I won one of the prizes! 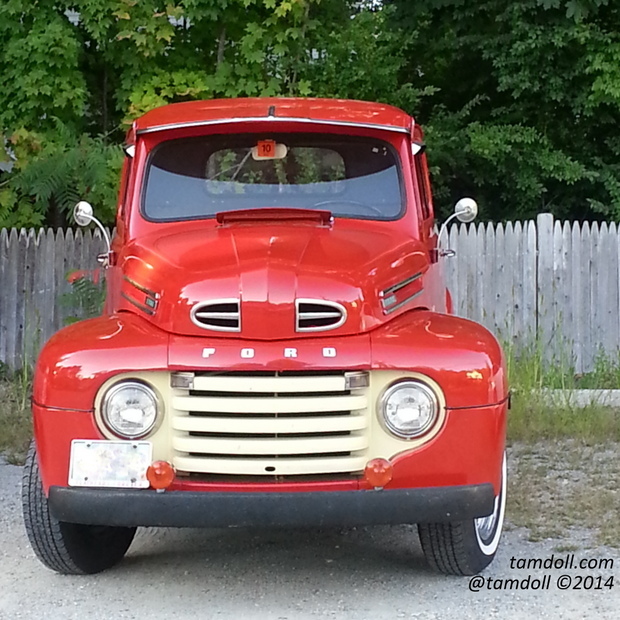 I came across this cool antique car in a restaurant parking lot & instantly saw a face in it. Do you see it? I have so many more of these pictures on my computer - most of them are the rear view of cars. One day, after I smudge out all the license plates, I'll do something creative with all of those tail-light/bumper faces I see. 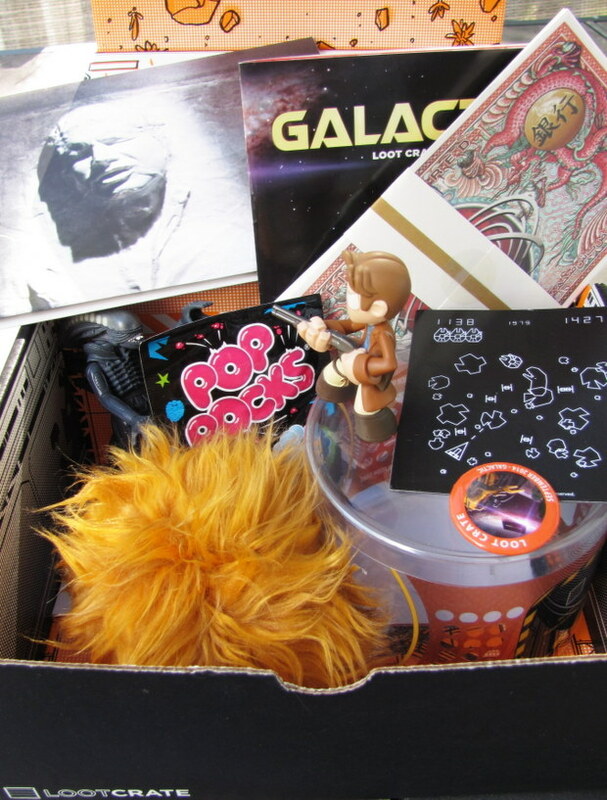 I got to choose from some awesome prizes, and picked a 6-month subscription to Lootcrate. I've received it as a gift before, and the monthly surprise package can be fun. Last month's box theme was Galactic & that Firefly paper currency will definitely be making it's way into a future art project. Have you ever tried one of these monthly subscription services? My daughter gets a monthly "Glam bag" with makeup samples and beauty products from ipsy.com and those are a lot of fun. She's never been disappointed with her packages each month & I feel like she definitely gets her money's worth (whether she needs another $10 of makeup each month is another story). I've also received Whimseybox.com with a monthly DIY craft project - supplies and instructions included in each shipment. I'm sure I'll get around sometime to creating them and then will blog about it, too. I have a feeling I'll be seeing many Lootcrates in my future, even after the 6-month prize runs out. Whew. I missed blogging, will have to make sure to stick with it more regularly. Hi Tammy, I did wonder when you will get back to blogging. I use PicMonkey for images I publish on my blog. It's quick and easy. I pay a yearly subscription. It's not expensive. For my Instagram, I usually use unedited images unless it's for something I want to promote. I find the images taken on my iPhone4 comes out pretty good. For images in my bag patterns, because these need to look more pro, I use a Nikon editor (for raw images) followed by Photoshop. I particularly like the image of the truck or is it a car(without the eyes). It looks so new like it had just been polished. I've never tried any subscription services which give you a surprise package mainly because I don't like surprises! Happy to see you back. I like PicMonkey, too but haven't subscribed to it - I have noticed the "Royale" features for subscribers are pretty awesome. Your pictures always look great, one of these days I will have to try Photoshop, too.